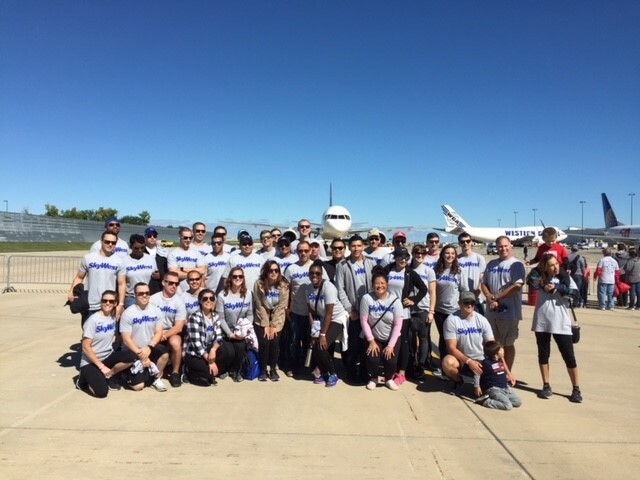 On Saturday, Sept. 22, SkyWest Airlines participated in the 10th Annual Special Olympics Plane Pull hosted by United Airlines and UPS in Chicago. The Plane Pull event is the ultimate tug-of-war competition as teams of 20 battle to pull a UPS Airbus A300 or United Airlines 737, weighing more than 180,000 lbs over 12 feet as fast as they can. The event took place on the cargo ramp at Chicago O’Hare where SkyWest Airlines fielded two teams which included over 40 employees! SkyWest believes in supporting the causes our people are passionate about through the Spirit of SkyWest: Our People in Action program, which is set up to allow SkyWest to contribute fundraising dollars for any SkyWest team member participating in an eligible charitable cause. All proceeds collected from the Plane Pull benefit over 22,000 adult athletes and over 20,000 young athletes (ages 2-7) whom compete in the Illinois Special Olympics.This year the event raised nearly $190,000 to provide life-changing opportunities for thousands of Special Olympics athletes. Beyond this event raising funds for a good cause and participating in some friendly competition, the SkyWest teams and their friends and family enjoyed entertainment, music and food at the event. 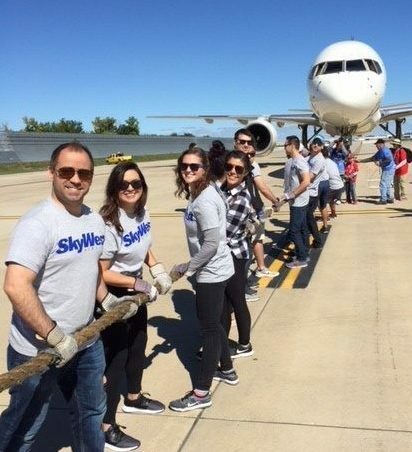 It’s just another example of SkyWest people giving back and having a great time while doing so! Learn more about SkyWest’s people making a difference.